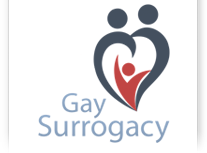 If you are a gay intended parent looking to Georgia for gay surrogacy options, gay surrogacy is currently not permitted. Our surrogacy specialists in Mexico and the US are available to offer you comprehensive care and protection under the law during your surrogacy journey. Mexico has become a pioneer in medical tourism and international surrogacy services; as they recognize gay couples make extremely loving parents and are dedicated to assisting LGBT individuals in attaining their dreams. Our partnered clinics in Mexico and the US behold an array of expertise and advanced surrogacy knowledge. Programs are custom-tailored and are met with extreme dedication. Article 143 Section b of Georgia Laws state that if a woman is unable to conceive due to defects or issues in her uterus, surrogacy arrangement is permissible to create a child. But intended parents must present a written consent to this surrogacy arrangement. Surrogate mother holds no legal rights to keep the baby.